What better way to help someone feel better than sending flowers and chicken soup. 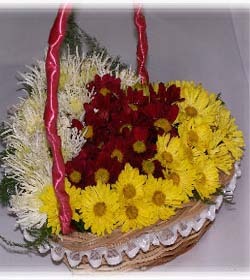 This arrangement of red and yellow daisies arrives in a decorative ceramic soup bowl and includes a packet of chicken soup. A great gift for any age.